The outline plan is to stay at the traditional farm site at Penrallt near Tudweiliog which is right on the coast path with fine views out to sea and to the Wicklow Mountains in Ireland. 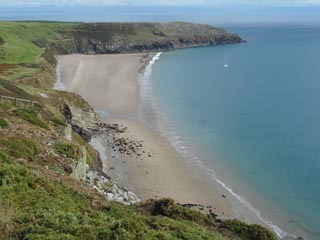 It’s about 40 minutes from the superb bathing beach of Porth Colmon. The sea is at its warmest this time of year.